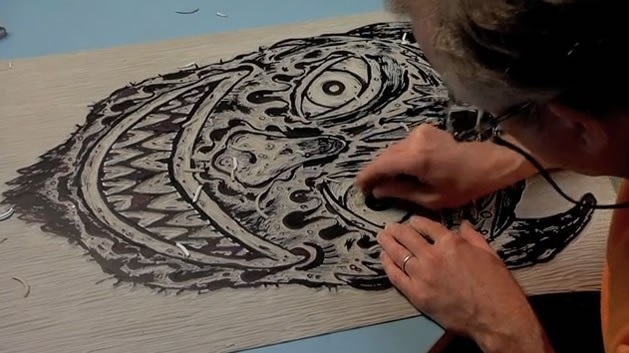 Linocut artist extraordinaire, Bill Fick shares his bone chilling carving and printing techniques, during his two day workshop filled with creativity, skill and fun! Hosted by Burning Bones Press and generously sponsored by Speedball Art Products. Participants will learn how to prepare images, carve linoleum and implement best printing practices. Bold expressive image making will be encouraged!